The micro-network is delivering consistency for brands trading in ever-diverse global markets. People say that the world is getting smaller. And in some ways, this is true. But one of the major challenges facing our industry today is maintaining consistency in an ever-increasing global landscape. With such a broad spectrum of cultures, languages and people, our target audiences are more diverse than ever. This calls for change. But, as we all know, the industry has so far been slow to respond. Partly, this is due to the traditional agency networks and their reliance on the old model of advertising to sustain their sheer size. And, as Campaign's Claire Beale states in her round-up of 2011, clients are still keen to keep the silos they've been comfortable with for decades. 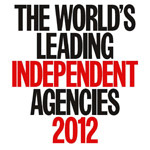 History has shown that, as clients have expanded into new markets, many have taken their lead agency with them. Therefore, many of the large agency networks around today have opened offices in markets because of their clients' presence there, not because they have a unique understanding of that part of the world or the people in it. The problem is that this pattern of growth has grown out of a desire for control, rather than a desire for creativity. And that is why the old silos are slowly being upstaged as the more nimble and creative-oriented "micro-networks" emerge. At BSUR, we can see first-hand the benefits of the micro-network model. For MINI, we have rolled out several global campaigns from our office in Amsterdam. Did it matter that we are not sitting in every market that these campaigns ran in? Well, in short, no. If the brand's DNA is central to the idea, and the idea is focused on the core values, then the concept can be rolled out to any market in the world where a local media agency can adapt it as required. But the central idea always remains intact and at the heart of the campaign. It is the "be as you are" (BSUR) of the brand. But consistency doesn't have to be a casualty of a diverse global landscape. Far from it. In fact, having a solid global platform from which to launch local adaptations gives brands more visibility. Visual and aural brand cues notify the target audience to the brand's core values. And a brand's core values should be the same, whether the product is being sold in Shanghai or Sheffield. As such, in a world where brands have to perform on an increasingly international platform, it pays to be serviced by a truly globally minded team of branding and advertising creatives. Whereas the old network structure is, for the most part, guided by an American, English or French perspective, our micro-network brings 15 nationalities together in one head office. By having a diverse team at the concept phase, the idea itself is born out of a unique understanding of different global markets. Rather than planting multiple offices around the world and then staffing them for a single market, we have one main head office that we have staffed with multiple nationalities for a global market. This makes us leaner, more cost-effective and, ultimately, more effective when it comes to a client's global business. In a further effort to boost consistency, some agencies are now positioning themselves as multi-discipline agencies. Instead of retaining separate design, advertising and brand activation agencies, a brand's positioning can be handled by a focused and dedicated team who know the brand inside out and can influence all consumer touchpoints, including products, stores, online and offline. These recent trends, both for micro-networks and for multi-discipline agencies, mean one thing: more consistency. Brand cues and campaigns are centralised for a more consistent consumer experience, in whichever market, language or cultural adaptation it is viewed. For example, when launching the new MINI Coupe, BSUR provided a global advertising platform, "Another day, another adventure" (www.bsur.com/mini). Because of the centralised budget, we were able to shoot high-quality adventure films in Iceland, Hong Kong and Rio de Janeiro. Alongside this, we also collaborated with Facebook and Vice to create webisodes that saw MINI fans compete to join a stunt driver on adventure trips in Tokyo, Johannesburg, Peru, Sweden and Jamaica. The premise of "Another day, another adventure" was so central to the concept that it transcended the need for any local adaptations to convey a consistent message. Of course, not every brand can get away with one central campaign. Sometimes different executions need to be produced for different markets. We found this with Libresse/Nana/Bodyform. Historically, the perception of not only the brand but the whole feminine hygiene sector varied broadly between different markets. So, we created a central campaign concept that we then translated into five different executions for varying international audiences. But, crucially, all adaptations departed from the same platform, "We know the feeling", based on the brand's core values (www.bsur.com/libresse). The global landscape has forced our industry to re-evaluate, regroup and skill-up from the inside out. And advertising will be all the better for it. Global diversity has always been there, but we now all have unlimited access to it. Our job as 21st-century branding and advertising agencies is to deliver a brand's values to an ever-broader audience. The more diverse the audience, the more consistent the message needs to be. In line with this, BSUR provides a one-stop shop that inevitably leads to more integrated brand platforms. After all, the challenge of diversity is only a problem if agencies refuse to diversify. Joost Perik is the chief creative officer and founder, and Jan Rijkenberg is the chief executive and founder of BSUR.